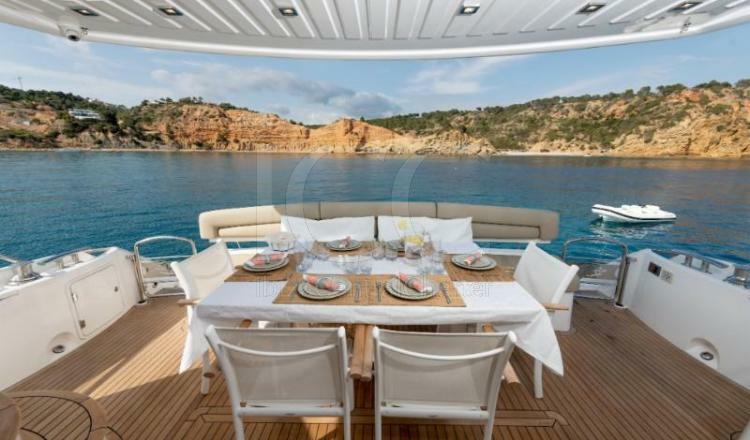 Spectacular yacht of 22 meters in length with a navigation and a comfortable anchorage, which will make you discover the beautiful islands of Ibiza and Formentera in a unique and unmatched way. 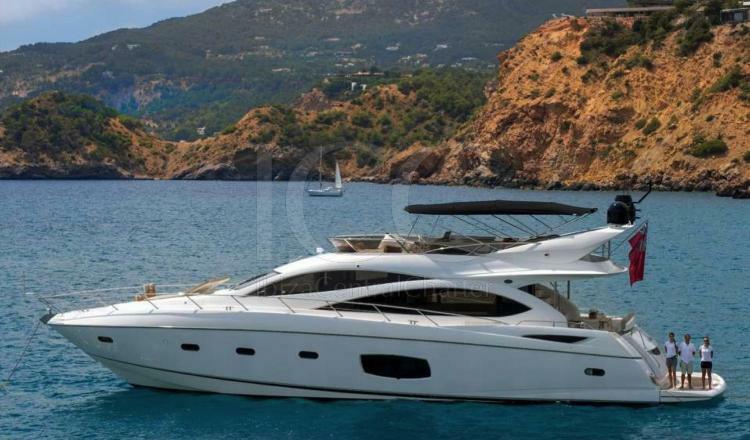 The Sunseeker Manhattan 70 yacht has a complete equipment and a good speed to enjoy your vacation in the magical islands of Ibiza and Formentera. 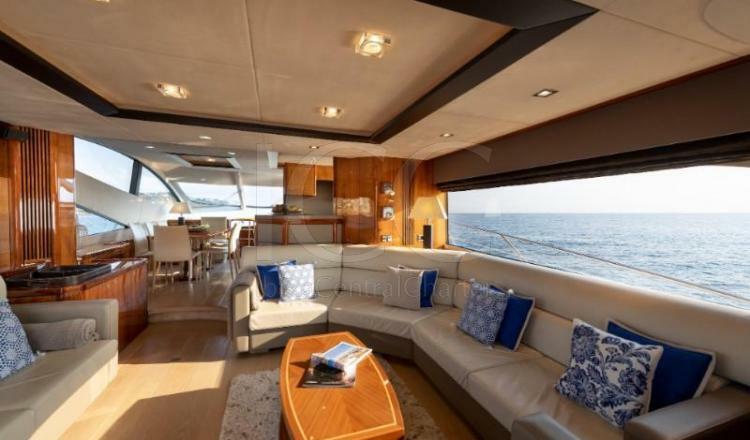 It offers a capacity of up to 12 people during the day and 8 in percnocta, in addition to 3 crew members who will be responsible for ensuring the best experience in charter. 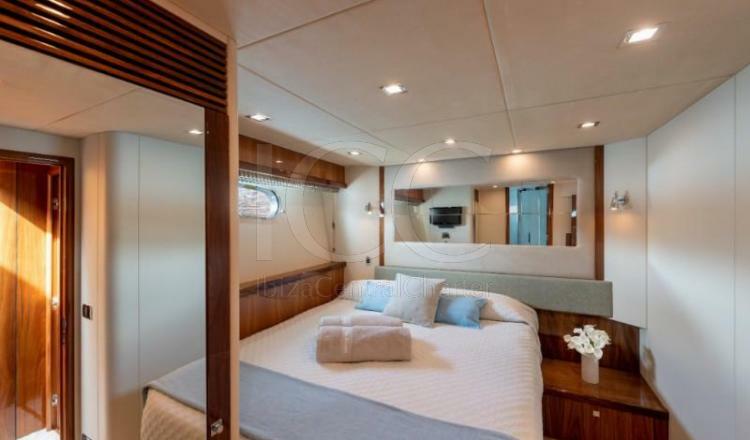 It has 4 cabins: 1 master, 1 VIP, 1 convertible in double and 1 double berth, in addition to a fifth cabin for the crew with outside entrance aft to maintain the privacy of customers. 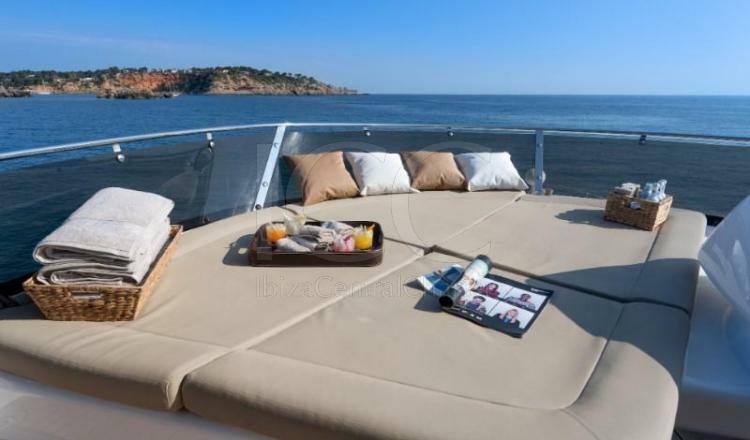 Inside is a fully equipped kitchen with a dining table and a large living room with large windows that facilitate the entry of light and allow us to see everything that happens outside without missing a second the wonderful views that the islands of Ibiza and Formentera give us away. 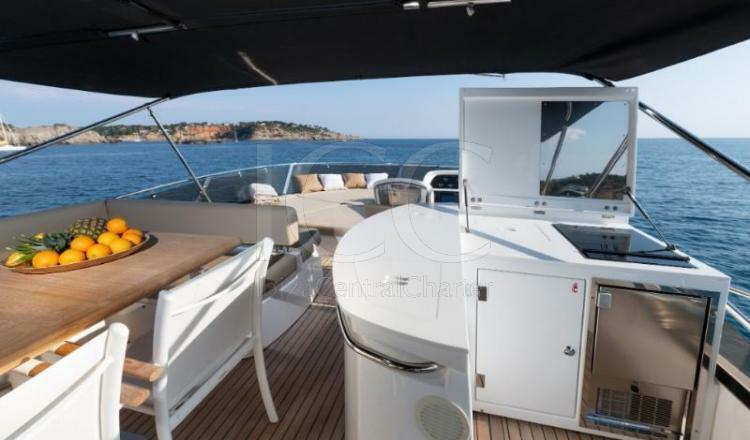 Outside there is a dining table to be able to recharge your batteries in the open air and a wide solarium in the bow with adjustable backrest mats. The frybridge has been improved to ensure a greater experience, its wet bar personalized with teppanyaki, its two ice makers, the sofa and a table to accommodate 12 people comfortably together with its solarium will make this place the favorite to relax, eat and spend time of leisure together your friends and / or familaires. 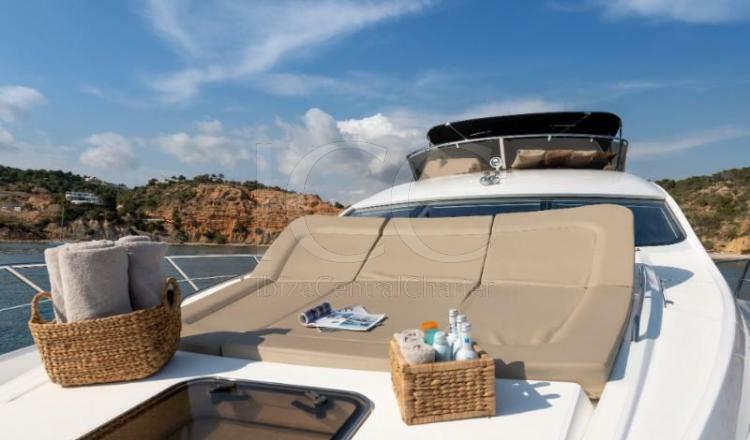 In addition, the Sunseeker Manhattan 70, has a hydraulic bathing platform that allows easier access to the boat after enjoying a refreshing swim. 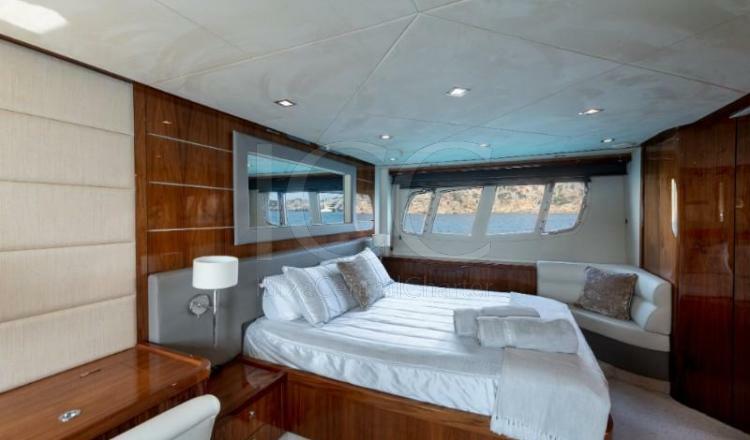 Without a doubt, this yacht will make you spend an unforgettable experience worthy of being repeated.